A college student’s recent fatal Uber mix-up has renewed the clamor for rideshare-app safety. Her body was found hours later in a rural area about an hour away from her college campus, and the man police said drove the vehicle was arrested after a traffic stop March 30, 2019, and charged with murder. While the suspect didn’t work for Uber, the company has grappled with security concerns involving its own drivers in the past. Eight members of Congress, including former Democratic Caucus Chairman Joe Crowley, inquired about its safety standards and those of four other ride-sharing firms last year after a CNN report that 103 Uber and 18 Lyft drivers had been accused of sexually abusing or assaulting passengers over a four-year period. “As ridesharing becomes more ubiquitous, it should be in our shared interest to ensure these spaces are measured by the highest standard in safety,” the lawmakers wrote. Uber, which boasts 75 million riders worldwide and 3 million drivers, has posted safety tips on its website and the social media platform Twitter reminding riders to make sure license plates, driver photos, and driver names match the information on their app before getting into any car. It also encourages users to take advantage of the app’s “share status” feature to inform friends and relatives of trip details. Lyft, which is also based in San Francisco, has nearly 19 million riders. In addition to offering users information that includes their driver’s photo and the vehicle’s make, model, and license plate number, Lyft drivers have the Amp. Amp is the visible display that sits on the car’s dashboard and can be seen by the rideshare user from the street, and changes colors — including green, orange, and purple — in sync with passengers’ apps to ensure that you are meeting the correct vehicle. We recommend users take full advantage of ride-sharing apps’ security features, including sharing trip details with friends or family. Along with confirming vehicle information in the app, riders should also ask who the driver expects to pick up and refuse to get in if he or she can’t provide the correct name. Movements are sprouting roots like #whatsmyname and #checkyourride – in other words, make sure the car’s license plate, make and model, as well as the driver, match up with what the app says. If you do not feel comfortable, the cancellation fee is well worth protecting your safety. It is unfortunate that it takes such tragic events to shed light on ridesharing abuse, assault, and violent crime claims, but it is more likely that ridesharers suffer many more incidents than are reported. Our firm has pursued justice on behalf of people who are victims of such crimes for years, advocating for their rights in a time when the victim needs to heal. 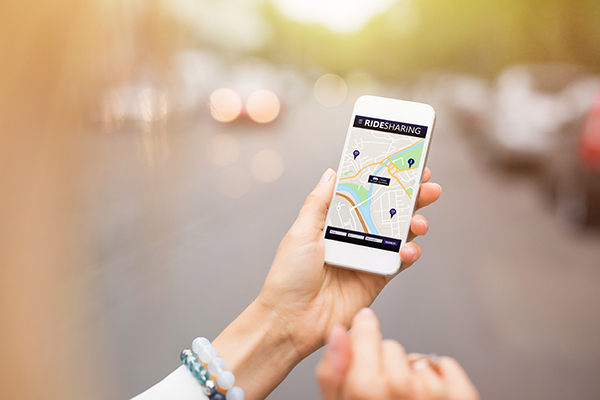 The attorneys of Lesser, Lesser, Landy & Smith are equipped with the experience and knowledge to represent victims of abuse and assault suffered at the hands of a ridesharing driver. If you have questions regarding this article, please contact our offices. Written by Attorney Sam Cohen.